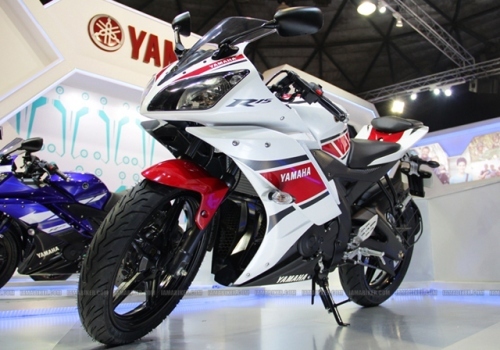 Yamaha has started this year with launching of Yamaha R15 v 2.0. Yamaha R15 completes anybody's thirst for the speed & v 2.0 will be treat of Yamaha lovers. This bike has already started attracted buyers & it will be one of the most successful bikes in 2012 . R15 has Fuel Injection which helps in fetching good mileage in city as well as highways which other bikes failed to do. Yamaha is good learner & they make changes as per the customers feedback. After removing kickers from FZ , they again added them in new models. Similarly after launching first edition of R15 two years ago, They have made significant changes in new R15 using the customer feedback. R15 has got 149.8cc liquid cooled, fuel-injected engine that produces maximum power of 17ps at 8,500 rpm and maximum torque of 15 Nm at 7,500 rpm. This is enough to make you the kings of the street with max speed of 143Kmph. Bike delivers mileage of 35 kmpl in city & 42 kmpl n highways. R15 has got an amazing build quality and it is well finished. Yamaha has used very great quality of the materials which are according to the international standards.. The bike manages a top whack of 140 kmph without any kind of vibrations. Engine is one of the strongest engines which are specially designed for Indian roads. New addiction of Dual horn, which proves quite helpful in busy traffic. It has got some new fresh colors which makes R15, a real head turner. Absence of grab- rails : The pillion rider will face problems because of the stepped seat and there are no grab rails on this bike. The bike looks bulky than the version 1.0 because of the longer wheelbase. The engine produces same output & it has got same 149cc engine which not attracte buyers who want to buy higher CC bikes..
Open loop type ECU is used in bike . No DOHC engine which can make some of the buyers to think again. RSS Feed. This blog is proudly powered by Blogger.